A car accident can leave anyone shaken, but it is even worse if you are facing criminal charges. If you have been involved in a DUI accident or hit and run, please contact a DUI and criminal attorney immediately so you can obtain proper legal advice in this difficult situation. We will work to find the best strategy for handling the DUI accident or hit and run charge. Contact us to discuss your case for free. If you are charged with a DUI involving an accident where someone was injured, or are facing hit and run charges, you are facing serious criminal charges. When someone is injured or killed after an accident, you can be charged with hit and run, felony DUI, manslaughter, or even murder. Because the criminal charges can cost you your life, you need an experienced and dedicated DUI and accident lawyer that can work to mitigate the charges against you. Leaving the scene of an accident due to panic is a common reaction, but it can lead to serious consequences and you could lose your freedom as a result of the rash decision because you can be charged with a hit and run. Hit and run charges occur when a driver is involved in an accident and fails to stop. Leaving the scene of an accident can subject the driver to serious criminal charges, from misdemeanor criminal charges, felony hit and run charges. You may even be charged with manslaughter or murder if someone is killed and you leave the scene. Any driver involved in an accident is required to stay at the scene. A hit and run charge can also occur when you cause an accident, even if your vehicle did not sustain any damage. If someone is injured or a death occurs, a driver that fails to stop, exchange personal contact and vehicle registration information as well as assist in getting medical assistance for all injured parties will be guilty of a felony hit and run or manslaughter. If you are charged with a hit and run, you will want to determine if you have a defense before you appear in court. The best way to determine the best defense for a hit and run is by speaking to a qualified criminal attorney immediately after the accident. Someone else was driving your vehicle at the time of the accident. You were justified in leaving the scene of the accident because you or someone else required medical attention. 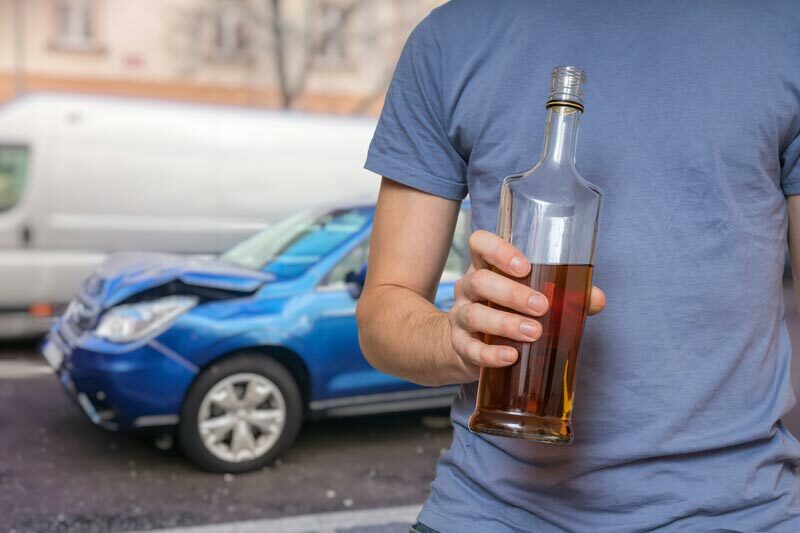 DUI accidents are serious and they become more serious when charged with drunk driving, significantly increasing the need for an experienced DUI defense attorney. If a driver has been drinking, the police officer will do an investigation to determine if the person was under the influence of alcohol or drugs at the time of driving. They may determine this by conducting field sobriety tests, as well as breath or blood tests. If you are found in violation of a DUI offense and you caused injury to another, you could face felony DUI charges. In order to prove a DUI with injury, the prosecutor must prove that you drove a vehicle in a negligent manner, or you broke a traffic law in addition to driving under the influence. Your negligence or your actions must have caused the injuries to the person. The fact that you are driving under the influence by itself is not enough to be convicted of driving under the influence and causing injury or death.​﻿﻿ A manslaughter DUI could result in ten years of state prison. An injury that is considered a great bodily injury could result in a consecutive sentence of 3 years for each person that was severely injured. There is also a mandatory one-year suspension with no ability to obtain a restricted license on any conviction for any misdemeanor or felony DUI with injury. If there is bodily injury to another, you may also be sued civilly by the family or victim to cover medical bills, a wrongful death action, or other costs associated with the DUI and/or the hit and run injuries. The situation may appear devastating, but there are numerous defenses available to you in criminal court. As soon as we obtain all the information from you about your case, we will begin putting a defense in place in order to reduce the charges or even obtain a dismissal. If you are facing a DUI with an accident, make sure to contact our office immediately so we can request a DMV hearing for you. Failure to contact DMV within 10 days will result in a suspension, but we will work hard to save your driver’s license. We will request a DMV hearing for you for free if you contact us within the first 10 days. Call or schedule an appointment now to receive a free and confidential consultation to discuss your case. We will assess the entire situation and determine if there is a particular resolution that will be beneficial to you.